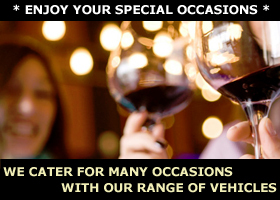 Going away, having an birthday party or a business party let us take care of your travel arrangements, allowing you to relax and enjoy the evening whilst relying on our reliable and trustworthy drivers. Our Mini Buses are equipped for almost any occasion. We aim to provide our customers with the most suitable service for their needs. Space and value – ideal for groups of up to 8 passengers, air conditioned comfort every time. Limited availability and so early booking is always recommended. Triple ‘A’ Executive provides a high standard of service in Executive cars from Audi to Mercedes Benz. Our services are relied upon 24 hours a day, all year round at competitive prices. perhaps you have that special night planned, we can pick you up at your convenience, and you can relax, knowing that we will be there to take you home at the end of the night. 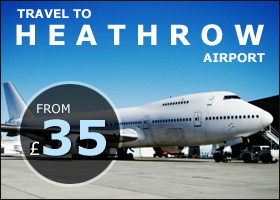 We specialize in Airport Transfers from all UK airports. So let our drivers take the stress from your journey. We provide a range of services, We have a meet and greet service at all major airports, our drivers will check your flight arrival times and make sure we will be waiting for you as you come out of arrivals, clearly displaying your name on greeting board, just to make your journey from the aircraft to the taxi hassle free. All drivers carry mobile phones in case of an emergencies and also for your personal use, at a small cost. So why not try us and see it for your self. At Triple A Cars we are more than a Taxi company we aim to offer your business with more services. Our Emergency courier service one of reliable service in reading and is available in Reading to anywhere in the UK. To find out more please speak to a member of our team who will be happy to help.